quantum physics, holographic evolution and destiny of humanity. and the evolution of civilization-at-large. Explains how our DNA resonates with the NINE WAVES, upgrading human consciousness with harmonics of a quantum shift. 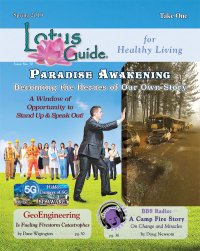 Reveals how NINE WAVES have provided a blueprint of cosmic coded consciousness downloads throughout history. Examines the unity consciousness now emerging with the NINTH WAVE integration of all former waves of paradigm shift. In the past few years the world has witnessed changes in social consciousness whose sudden development the ruling scientific paradigm has not been able to explain. These changes correspond with the activation of new waves of creation emanating from the all-connected 'Source Field' of the quantum universe. From the 'Big Bang' to the present, these waves guide the evolution of the universe and, through their holographic resonance with the human 'brain field', profoundly shape revolutions in religion, technology, economy, and social consciousness. 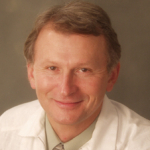 Dr. Calleman examines how the NINE WAVES provide holographic downloads to adjust human consciousness to the cosmic "Shift of the Ages' - a quantum-holographic perspective on world history and human consciousness that explains the quantum physics behind the waves of the Mayan Calendar system and how these waves allow us to understand the shifting eras on Earth as well as the possibilities of the future. For those who are new to Carl’s work, there are some excellent recent videos at www.heartcom.org/EarthAscent.htm. Outlining the historical, psychological, geophysical, and neurological roots of human evolution, Calleman explains how our individual resonance with the NINE WAVES plays a role in the quality of our lives and how we must consciously work to resonate with the higher waves. Revealing how we can become quantum activists in a holographic world by aligning with the 9th Wave, the author shows how we each can manifest the destiny of humanity hinted at in ancient texts. Carl Johan Calleman holds a Ph.D. in physical biology from the University of Stockholm. 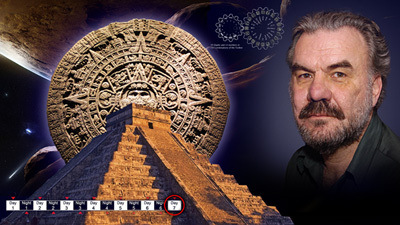 A leading expert on the Mayan Calendar, he is author of the 'Paradigm Shift Trilogy' and THE NINE WAVES OF CREATION. He lives in Santa Fe, New Mexico.